Competing in the OPTIMA Ultimate Street Car Invitational doesn't guarantee magazine coverage, but it certainly doesn't hurt. Many of the cars and trucks that compete in the OPTIMA Ultimate Street Car Invitational have been the subject of magazine features before they ever make the drive up to Pahrump. However, others, like Mark Rife and his 1963 spilt window Corvette find fame in the OUSCI. Popular Hotrodding magazine already had their eye on Mark's coupe, since spotting it at a Goodguys' autocross, but for other cars and drivers, the exposure of the OPTIMA Ultimate Street Car Invitational brings their cars to the attention of magazine editors from all over the world. 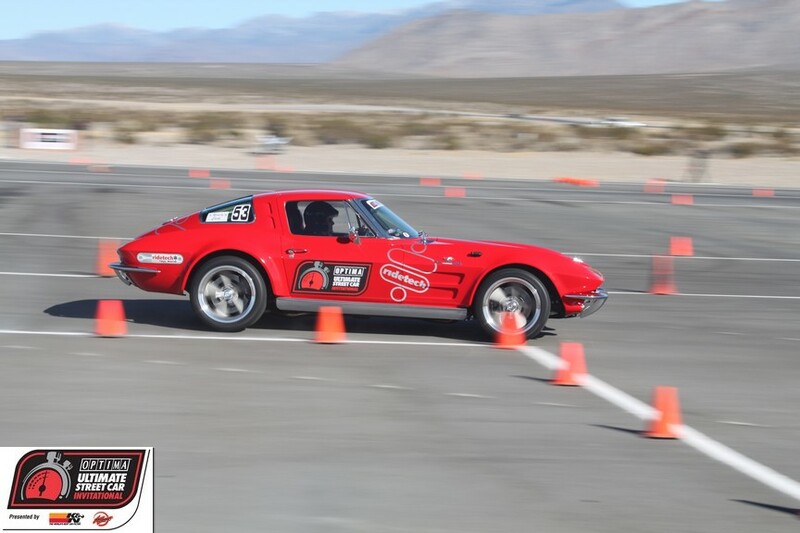 Mark's story is a particularly compelling one, as he and his family have been racing his coveted Corvette for more than 35 years and his journey to the OUSCI was part of a tribute to his beloved wife. Please read the full feature at PopularHotrodding.com of this outstanding competitor and his amazing machine.